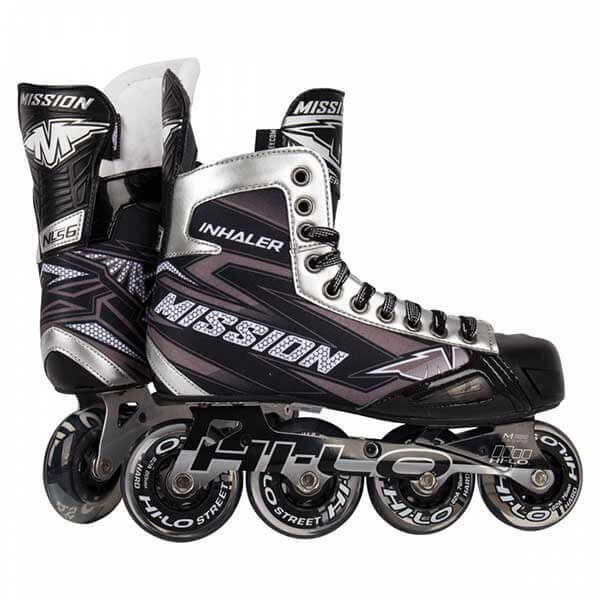 The Mission Inhaler NLS:6 Skate is the entry-level model in the third generation of Mission Inhaler skates. 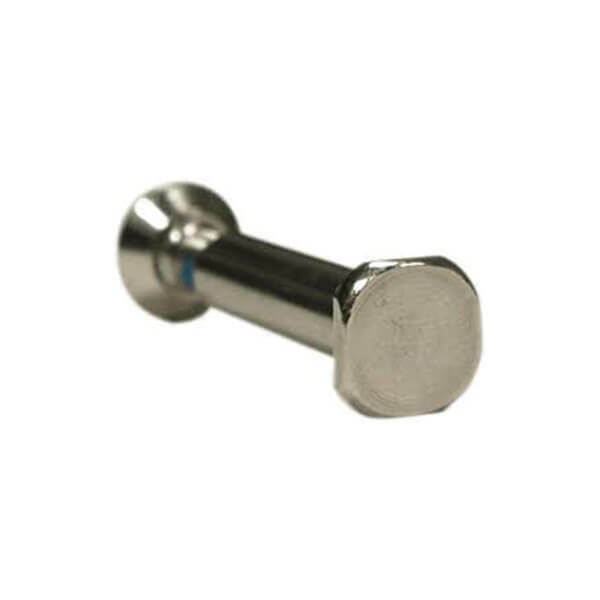 The NLS:6 is built for the beginner or recreational player who wants good performance and comfort at a reasonable price. 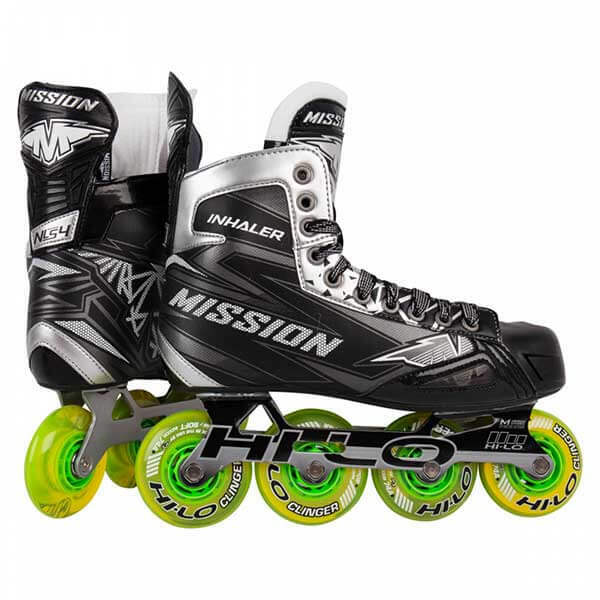 It features Mission’s exclusive Hi-Lo chassis and its aggressive forward pitch that provides some of the best agility and speed on the market. 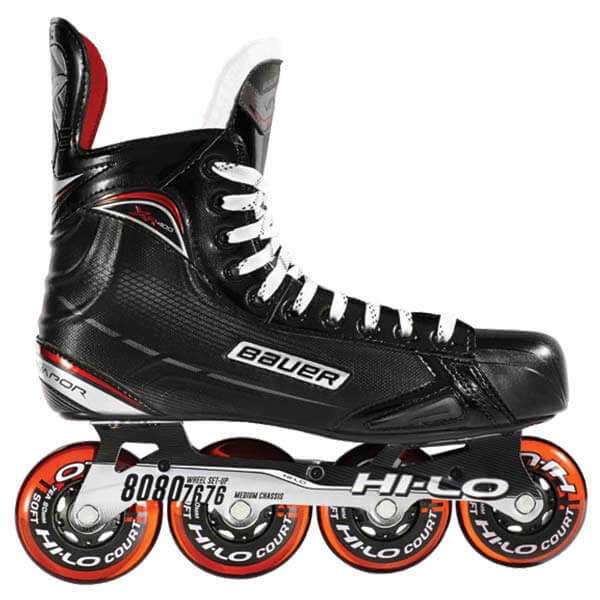 The Hi-Lo chassis holds 82A Hi-Lo Street wheels that can be used on all outdoor surfaces, including asphalt and concrete.Also unique to Mission is the Inhaler toe cap that promotes airflow through the front of the boot for maximum comfort. The injected TPR outsole works with the anatomically shaped quarter package for good support through the heel while still being forgiving, ideal for players still perfecting their stride.